As you stroll through Granada, a magical energy will hit you from all sides. 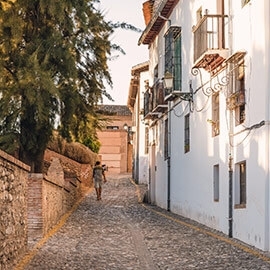 This Andalusian city is a sensory delight, a history lover’s dream, an adventurer’s paradise, a place where you’ll be surrounded by cultural and natural treasures. 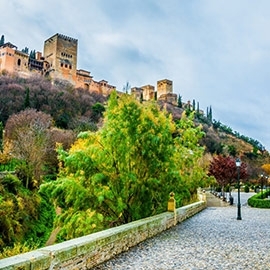 Learn Spanish in Granada, nestled in the foothills of the snowcapped Sierra Nevada mountains, below the mystical Alhambra palace bathed in golden light. Discover the intricate Arabic tiles, carvings, and archways sprinkled throughout the city, and gaze up at the bright pink and purple bougainvillea blossoms and blood-red geraniums hanging from the terraces, throwing splashes of color against the white walls of the Albaicín. Feel the energy of impromptu flamenco inside a cave in Sacromonte, the traditional gypsy quarter. 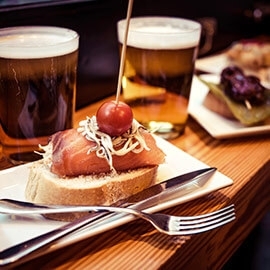 Everywhere you go, you'll enjoy generous servings of Spanish tapas with every drink. 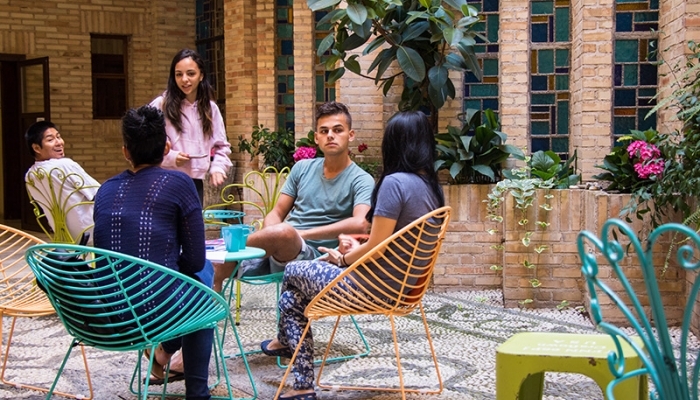 When you study Spanish in Granada, you'll be immersed in the bright, friendly energy of the locals, mixed with an international student atmosphere — the perfect combination for fun Spanish learning. 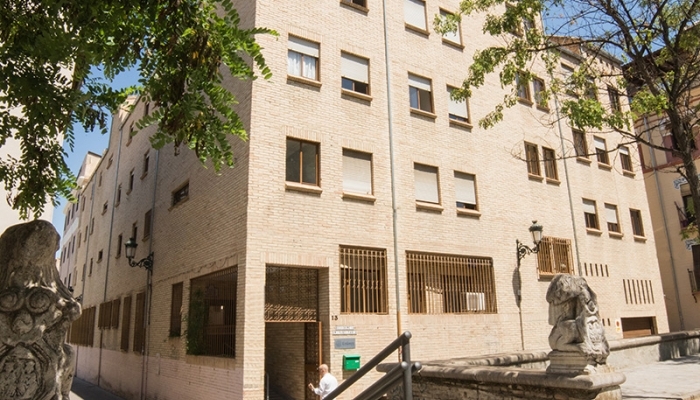 Our Spanish school in Granada is located in the historic center of the city in the Realejo neighborhood, formerly the Jewish quarter. The area is home to many historical buildings, from the Church of Santo Domingo to the Bibataubín Palace, while local street artists lend a modern touch that will brighten your day. 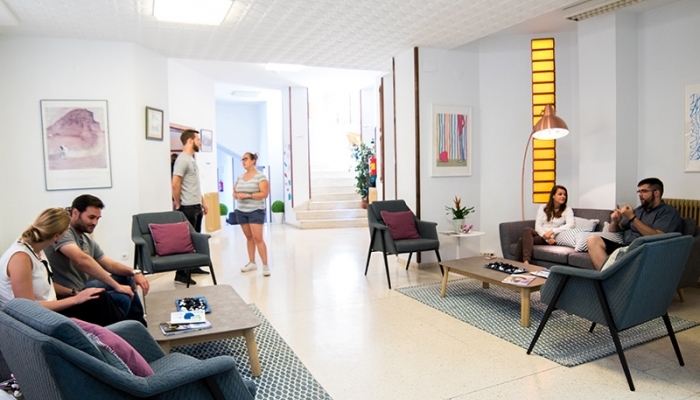 The school has a student residence with 90 modern bedrooms in the same building and is surrounded by lively restaurants, traditional markets, and all sorts of tapas bars. 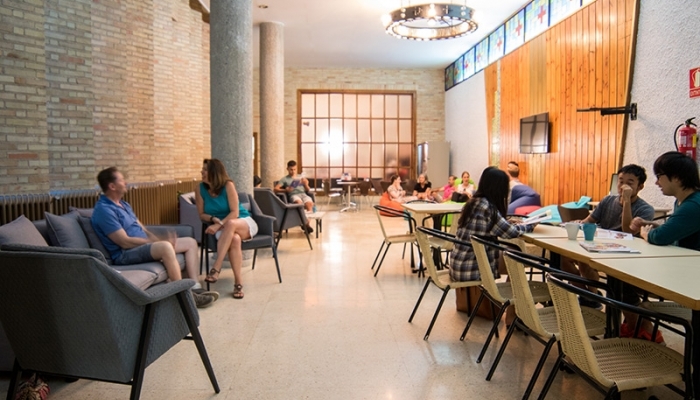 You will have access to a gym, a library and study area, and a spacious patio with tables and chairs. 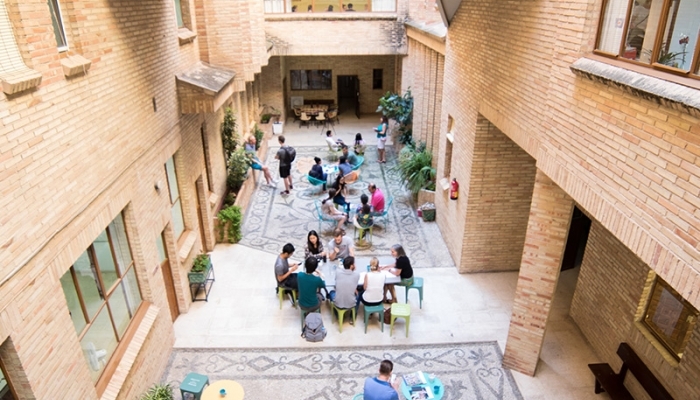 Once class is over, Granada's top tourist sights are just a short walk away. 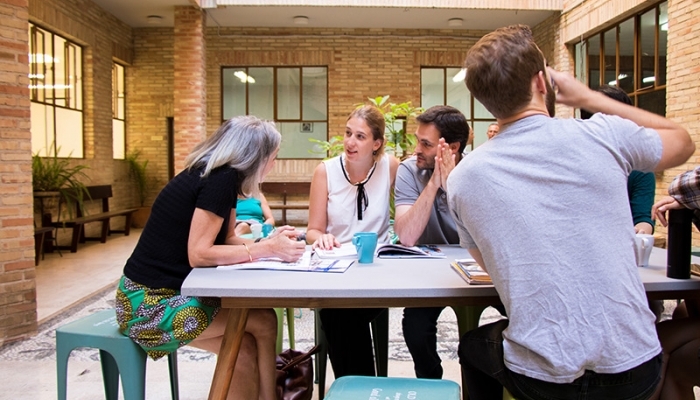 Our Spanish lessons in Granada are the quickest route to improve your language fluency and cultural intelligence. 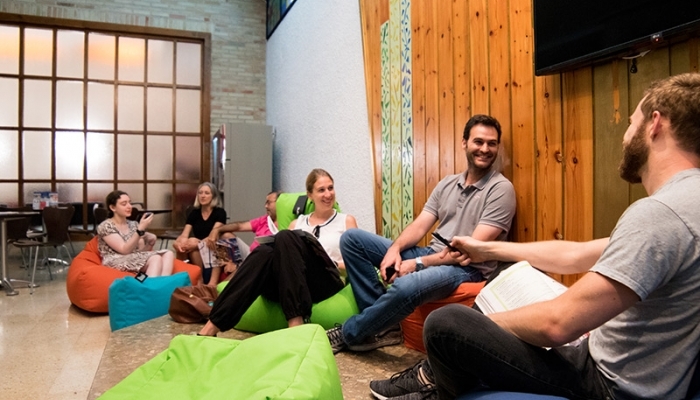 Languages don't exist in a vacuum, so we're careful to incorporate Spanish culture and history into each lesson, giving you the tools you'll need to truly understand the Spanish language and people. We prioritize student participation in all of our Spanish classes, which is why we insist on learning in small groups. 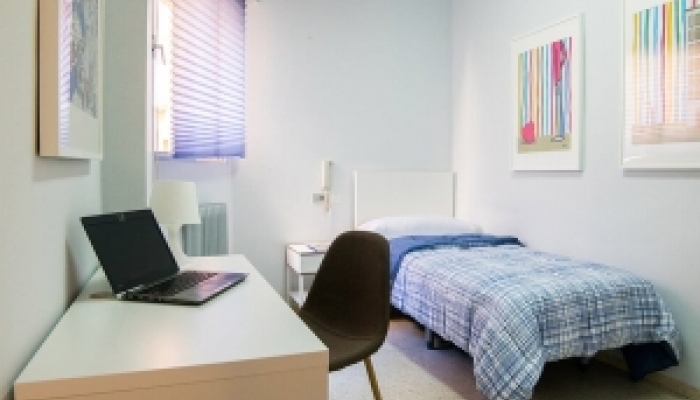 Choose from a variety of Spanish courses in Granada — you're sure to find one that will suit your schedule and get you well on your way to Spanish mastery. 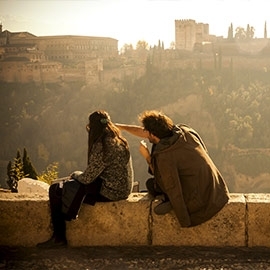 Discover all the beauty and charm of Granada during the day, and then go home, sit back and relax. 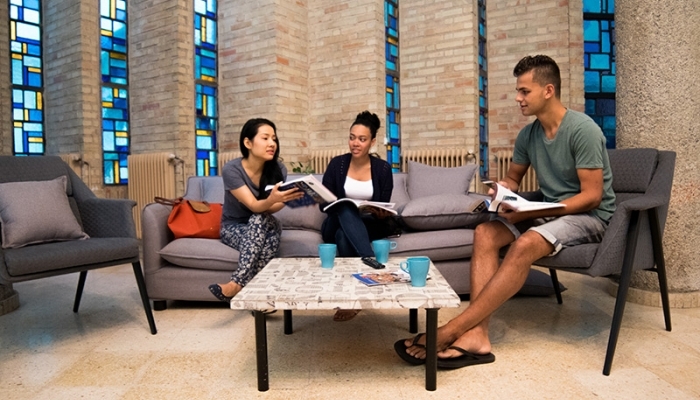 Whether you choose to stay with a host family, in our student residence or share an apartment with fellow international students, you will feel at home right away. Falling in love with Granada is easy. Every corner of the city radiates an undeniable charm, from its beautiful Moorish castles, towering Christian cathedrals, and homes built inside caves to its weaving webs of narrow cobblestone streets and stunning plazas. 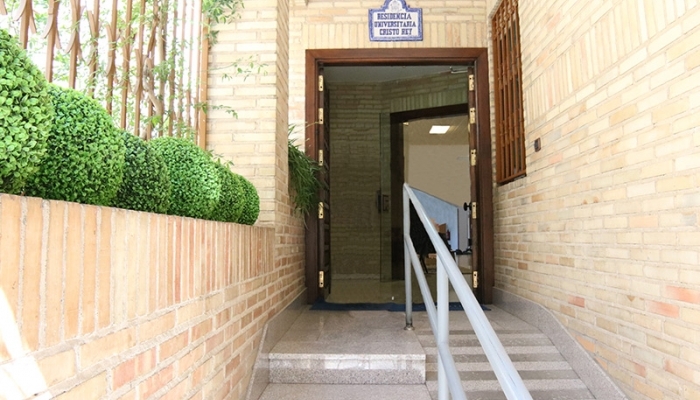 Our school is located in the historic center, where you can walk to all the main attractions or opt to rest your legs thanks to easy access to public transportation. When you finish your Spanish classes for the day, step out of our school and into the heart of Granada. 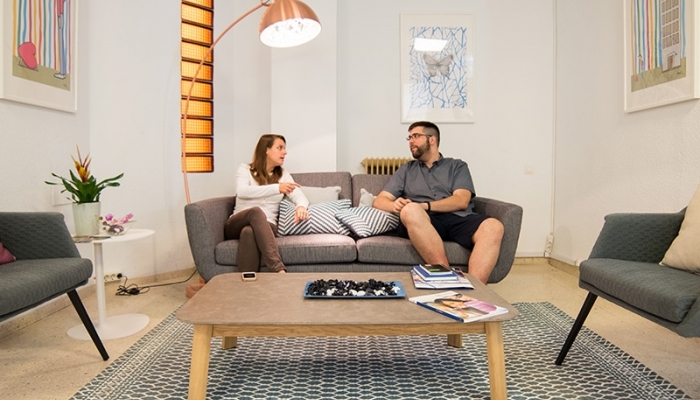 Enjoy getting to know the personality of each neighborhood, or venture a little further out of the city to ski in the Sierra Nevada or to take a dip in the Mediterranean. The Alhambra, the eternal Alhambra. Romantic, magical, spectacular. One's soul changes after visiting the Alhambra. Part palace, part fort, part World Heritage Site, part lesson in medieval architecture, the Alhambra has long enchanted its visitors. It is impossible to explain what it feels like to be in Granada: it's one of those places you just have to see for yourself. Discover this mesmerizing city as you take Spanish classes with don Quijote, and get ready to breathe in its rich history and witness a truly unique mix of cultures. 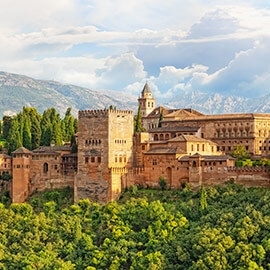 Immerse yourself in the legends and mystique of Andalusia’s most exotic gem. The major festivities take place at fair stands and there are parades with big-headed giant puppets. Every corner of the city becomes a floral work of art during one of the city's most festive events. A yearly date with literature. Book signings, meet and greets with authors, and much more. The ancient Arabic alhóndiga hosts flamenco and theater nights. The saint's statue is taken out for a parade, there are soccer games and picnics in the fields.